Your little one might be more vulnerable to sickness than you. It is because his immune system is not yet mature. In general, babies less than a year-old are the most susceptible one. There are lots of factors that may cause your child to get sick, among others is viral or bacterial infection. Every parent is dreaming of having a healthy child. Thus, to prevent your child from getting sick, you may consider some tips below. The house, as a place where your child spends most of his time, should be kept clean. You should also teach him to keep his body clean, especially before eating. Get used to take a bath two times a day and wash hands before eating. 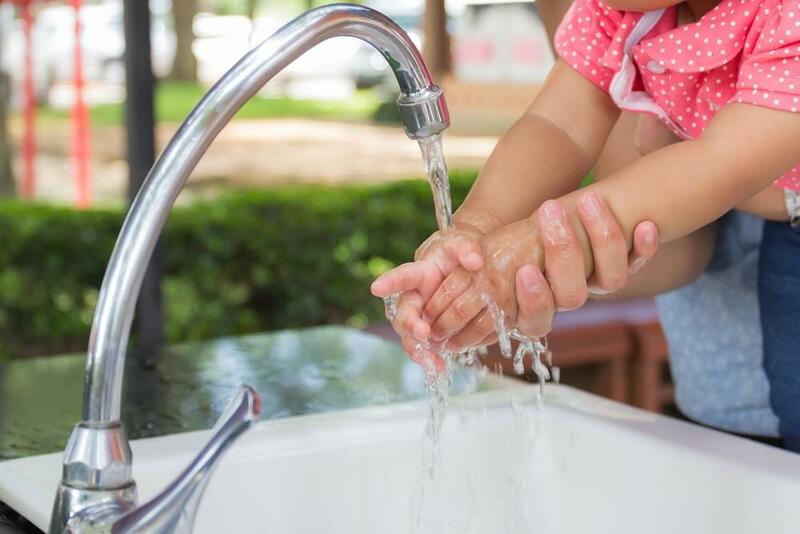 As parents, you should not forget to keep the hygiene of family utensils. Opt for food that provide lots of benefits to the family. Make sure your family gets balanced nutrition as required. For your little one, breastmilk is the best food. If there are certain conditions that prevent him from getting the breastmilk, formula milk may be an alternative. Before choosing a particular formula, make sure that the composition is appropriate to your child’s requirement. You may choose a formula that has been fortified with nucleotides and lactoferrin. Formula milk enriched in nucleotides may increase response of antibody formation after vaccination, while lactoferrin possesses antioxidant, antibacterial, antiviral, and even antifungal activities. Do not underestimate the importance of sleep. To keep the body health, sleep is as important as balanced nutrition. However, often your child’s sleep schedule is in shambles due to various reasons such as not having a regular bedtime. You can work around this with creating a regular schedule for naps and bedtime. You may also engage your little one in a fun yet comforting bedtime routine like reading stories or rubbing his back. Physical activity is one important factor that supports the health of a child. Search for fun and exciting activities to be done with your little one. You can also consider this activity as a means for spending quality time with the family. So, how is it Moms, and Dads? It’s not that difficult to keep the health of your child and the family. Now, what are you waiting for? Start as early as possible in order to get the maximum benefit.